ACCRA, Ghana — Rallying behind the slogan of “Ghana First,” thousands of people in the West African nation have protested a new defense cooperation deal with the United States, with many in the longtime U.S. ally saying they worry the expanded military presence could attract extremists and harm their country’s sovereignty. Hundreds of opposition groups organized by the Ghana First Patriotic Front marched in the streets of the capital, Accra, on Wednesday carrying signs that said “Our future is at stake” and “Ghana not for sale.” They vowed to continue protests until President Nana Akufo-Addo’s government listens to their concerns about giving the U.S. too much control in their own country. 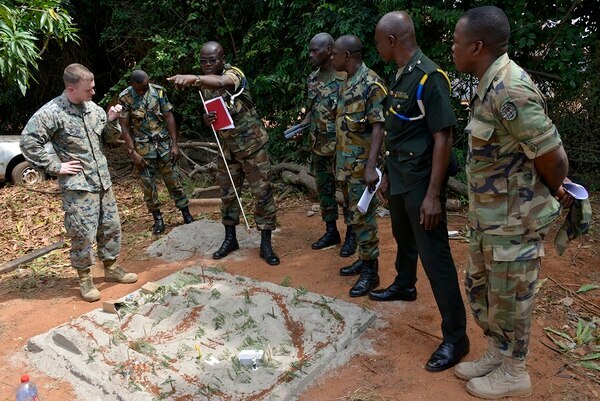 The defense agreement ratified by Ghana’s Parliament last week, and boycotted by opposition lawmakers, gives the U.S. military unimpeded access to facilities, including Ghana’s airport runways and allows the U.S. to deploy troops there. The agreement also gives the U.S. access to Ghana’s radio channels and allows the U.S. to operate its own telecommunications system. 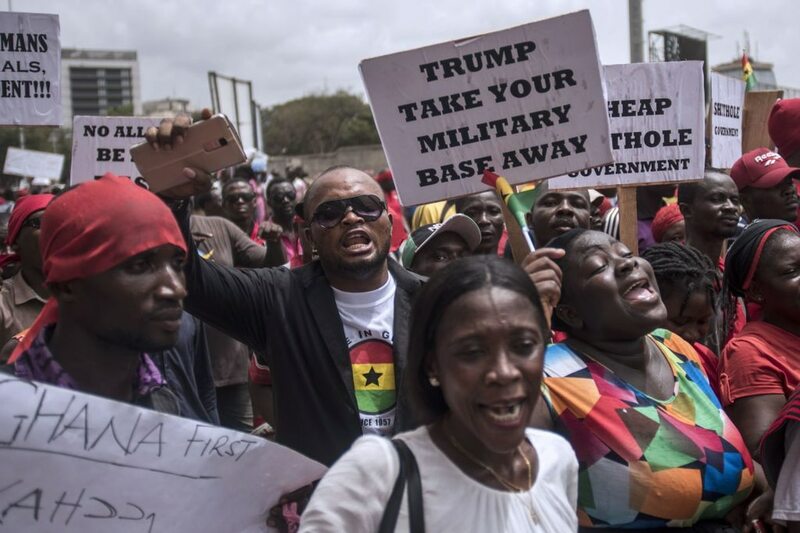 “The United States has not requested, nor does it intend to request, the establishment of a military base in Ghana or the permanent presence of U.S. troops in Ghana,” the embassy said. The U.S. military has only one permanent base in Africa, in the tiny Horn of Africa nation Djibouti. “This agreement does not either sell the sovereignty of Ghana or endanger the security of Ghana. We have nothing to hide,” the ambassador told reporters. Despite increasing activity by the Islamic State and other terror organizations on the African continent, and an expanding mission for U.S. service members deployed there, AFRICOM is likely to remain under-resourced for the foreseeable future. There is “no need for Ghana to walk back to servitude,” one opposition figure, Koku Anyidoho, said last week of the new U.S. defense cooperation deal. “I wanted to be part of the people who are fighting for the country’s independence,” he said.